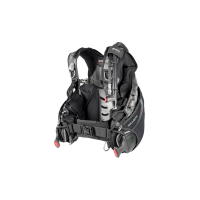 The front-adjustable X-Black features SCUBAPRO's exclusive AirFlex system(highlighted by the red..
X-FORCE is more than a powerhouse of features, making it perfect for passionate and advance recrea.. Constructed of 210 denier nylon covered with polyurethane for lightweight durability. Wraparoun..
WITH THE X-ONE YOU CAN HAVE IT YOUR WAY Optional weight system gives you the choice of .. The Master stabilizing jacket is the choice of commercial divers, instructors and advanced divers ne.. Beyond innovation • Foldable backpack • Ultra low profile exhaust valves • Unpre.. Designed by women for women • Fashionable design with female dedicated cut • Internal ..
One of the most famous classically constructed BCD’s. An excellent blend between tradition and..
Absolute Bargain Whilst Stocks Last - Mares UK SSP £ 314.95 Mares Origin Sport AT MRS Plus:..
Wrapture Harness System (pat. pend.)  – Using patented swivel shoulder buckles and a proprie..